warning: Parameter 2 to securepages_link_alter() expected to be a reference, value given in /var/www/vhosts/commercial.sterenusa.com/httpdocs/includes/common.inc on line 2892. Electrical power equipment is always an extremely important component, and Steren has a great list of available power equipment parts. 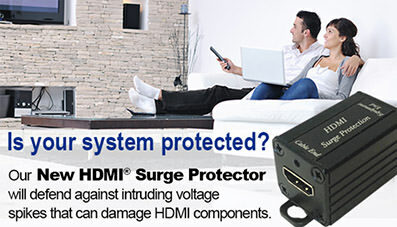 Our power hardware inventory has many different products including our plug-in surge protectors. With a high-impact ABS plastic housing and brass grounding plug, the wall-mounted adapters protect anything plugged into them in case of a power surge. Coming in a variety of options, including the number of plug spots and accessories available, our surge protectors are second to none. Along with the plug-in surge protectors, we also carry surge-protected strips, a collection of surge protected multiple outlet strips that boast a response time of less than 1ns. As a power equipment manufacturer, Steren also offers a variety of toggle switches with brass-silver contacts and solder terminals. These toggle switches come in a number of different forms, so like any other power equipment needs you have, Steren can solve them. To see what other power equipment parts Steren has to offer, please look through our online catalog, or contact a representative for more information. Learn more about a product or if you have a question about a product let us know below.